Let us remove dust, pollen and mold from your HVAC system. 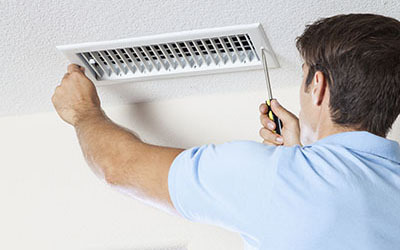 Our company in California offers professional air duct cleaning services plus repair and sanitizing. Count on us for air filter replacement to get the best end result. Use our air duct cleaning services for your HVAC system and dryer vent and get repair and sanitizing too. Call us straight away. Our company is a full air duct service provider, specializes in residential systems and offers great assistance to each and every client. Our experts have the required experience and also the equipment to offer proper and thorough air duct cleaning services. From air vent cleaning service to HVAC maintenance and proper cleaning of the exhaust system, our services are unparalleled in terms of thoroughness. We promise excellent results and, thus, healthy indoor environments. Our cleaners remove debris but also mold from the air ducts and leave every part clean. The job is carried out with attention and thanks to our machinery your house is not affected by our cleaning procedures. Dirt is immediately transferred to our vacuums. We guarantee clean and proper work. Our company doesn't limit its services to cleaning tasks but also handles air duct repair and replacement. 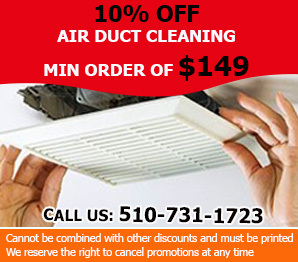 And do you know what Air Duct Cleaning Castro Valley has to offer you? • Latest technology, equipment and tools for servicing air ducts including: access, inspection, hand cleaning tools, vacuum, hand vacuum and wet vacuum devices. What could you do with this kind of air duct cleaning company by your side, is make sure your HVAC system is spotless and contaminant free. The HVAC systems are responsible for the air circulation within your home as well as for the temperature and the indoor quality. Theses elements have great impact on many things within your household starting from the sensation of comfort, to the effectiveness of the whole system to the indoor air quality you have in your home. The official EPA standing and position on HBAC system maintenance is something like if it is not broken don't fix it unless you have allergy or asthma attack. We agree as far as moderation is concerned meaning that in life everything needs to be done moderately. We are not inviting you to get your HVAC system cleaned each week. If this would be the case we would rather invite you to move and leave that house behind. We only invite you to keep track of your HVAC system functioning and also to pay attention to your home ambience. If you feel the air seems different, or that you are coming down with headaches and respiratory issues more than usual then this might be good time to act upon it and get help and assistance from the best air duct cleaning company on the Californian market – us. The good thing about us is that we are true professionals and we really like what we do. We are never tired of your calls and we are always enthusiastic when we hear from you and especially when we know how to help you. And trust our word we always now the right answer. When it comes to air duct cleaning and servicing we are bit nerdy and we are proud of it. Another thing that distinguishes us from the other similar companies within the industry is that we are not lazy and we don't mind coming over to your home just because you have some doubts regarding the state of your air duct system. 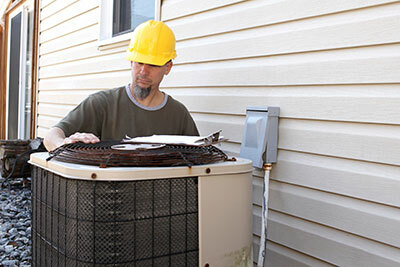 In fact we never proceed with servicing until we perform detailed inspection of your HVAC system. Another thing that we do is use our fine technology to make a record of inner part of your HVAC system so we could show you in what state your HVAC system actually is. We work for you and never against you and that relates to all of the segments of our business making. We choose only the best people, method and resources. With us you really can breathe freely!